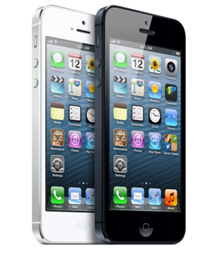 We're inching closer to September 10th which is rumored to be the day Apple unveils the iPhone 5S and iPhone 5C. With investors worried that the company has lost its innovative spirit, Apple is under more pressure than ever to deliver a spectacular phone. What I've been noticing more and more lately is that consumers are very afraid of new software. But that’s not the case for hardware, whether it’s new color options or even a fingerprint sensor. People welcome new hardware with open arms. That’s why the iPhone 4 was so successful, and even the Samsung Galaxy S3. We already know the software for the iPhone 5S, but what are some of the hardware features that we want to see in the next iPhone? The amount of rumors that Apple will include a fingerprint sensor in the iPhone 5S is mind-boggling. A few months ago, before these rumors started churning, if someone told me I could have a fingerprint sensor in my phone, I would be stunned. It seems magical. But so did the modern touchscreen five years ago. If we really do see a fingerprint senor in the next iPhone, it would be magnificent. When Apple unveiled the white iPhone, it was a huge success. Now it’s completely normal, and come on, white or black aren’t very unique, especially with the Moto X coming in 504 options. Rumors have already been spreading that Apple will include a gold/champagne colored option for the iPhone 5S. The people I have spoken to are actually really open to a gold-colored iPhone and said they would definitely buy it. It’s very hard to find someone who hasn't broken their iPhone. And Apple doesn't make it easy or cheap to replace it. Tougher glass is a must. I think almost everyone I know would be sold on the new iPhone if it had harder glass alone. This is a no-brainer. We can expect a better processor, and higher megapixel camera. The camera is also rumored to have dual flash on board. That wraps it up! Do you have any more features that you want to see in the next iPhone? Cole Hennen is a tech enthusiast and blogger. After two years of writing in the sports field, he has recently ventured into his passion for technology and started http://www.GadgetOutput.com, a blog that aims to be the best source for high quality consumer electronic news.